A very Happy New Year to all of our members! The events diary has been updated to show fish-ins at Theale Lagoon and Bury Hill, both of which are in support of Stoney & Friends, who put together these fish-ins to support the great work by Macmillan Cancer Support. Details of next year’s fish-in at Charvil (near Twyford, Reading) have been posted in the Events Section of the website here. We’re hoping so see you there! Dr James Gardner joined us for our meeting on the 13th November to talk about the fascinating subject of Predatory Barbel in Spain. 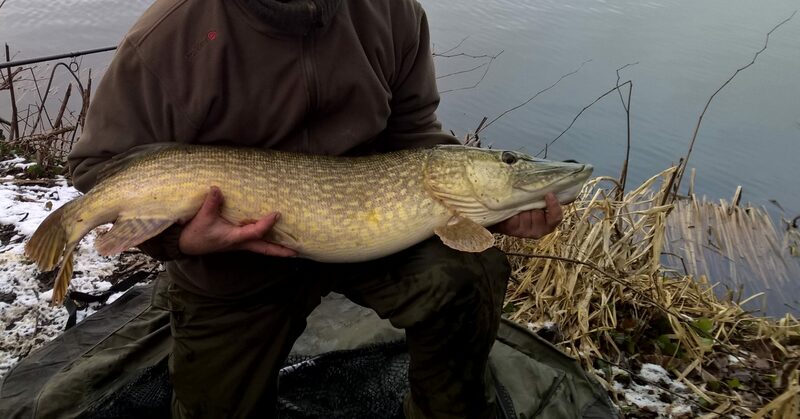 Whilst Barbel are not considered a predatory species here in the UK, we learnt that in Spain they are very different and readily take lures and flies and that James has made several trips with Andy Lush (“the Friendly Fisherman”) to reservoirs in Spain to catch a very hard fighting and aggressive species. 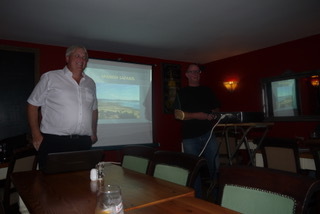 Towards the end of the talk James also covered fishing in the Netherlands where huge Perch and Zander are in abundance. It was very enlightening to hear about how the approach taken by the Dutch differs from our own (they measure their fish by length rather than by weight) and the friendships that James has made there with anglers in Holland. We’re looking forward to the next meeting which will be Dave Fish’s “Infamous Xmas Quiz” on the 11th December – we hope to see you there! With the season well underway, our next meeting has Dr James Gardner join us to talk about Dutch Perch and Spanish predatory Barbel, as unfortunately Des Taylor had to cancel. It’ll still be a good session, see you there!